Throughout the century, miraculous advances in medicine and scientific breakthroughs have brought the health care profession to a new zenith of excellency. Incurable diseases have been eradicated and conditions that were once death sentences are now vanquished with a quick pill or surgical fix. But underneath all this progress lies a vestigial sore weighing down the entire health care industry – the limited health care financial system. While medical care and technology itself has advanced to greater heights, the underlying business and financial functions are lacking. The mounting costs of a fee-for-service health care payment model and subsequent lack of oversight on the quality of care is becoming too much to handle for both individuals and employers alike. 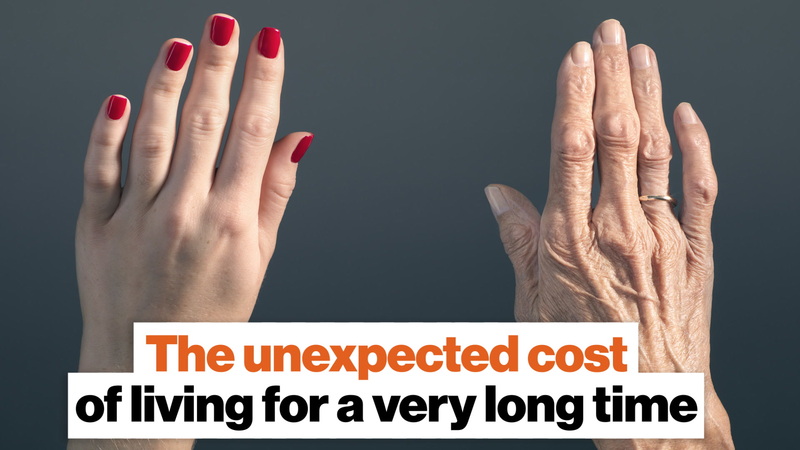 A recent report from the Health Care Cost Institute found that per-person out of pocket spending has reached an all time high for Americans under the age of 65 who are covered by employer-sponsored insurance. Data gathered from that same report shows that employer coverage has risen 44% per enrollee between 2007 and 2016. The total cost of spending on employer health care services has ballooned to an annual cost of nearly $700 billion. What's the underlying issue for this? The problem may be endemic to a fee-for-service payment model. The current state of payment systems in health care takes the form of disjointed and disparate bill of costs that don't take into account whether or not the treatment was valuable. Let's look at a simple example on why this is so. Fee-for-service care - A patient undergoes surgery. They end up getting an infection. On their next visit back to the medical center the patient now bears the cost to treat it. Value-based care - A patient undergoes surgery. They end up getting an infection. On their next visit back to the medical center the hospital bears the cost to treat it. While this is an overly simplified example, it cuts to the heart of the issue. Health care services and payments need to be held accountable for what value they bring and not what laundry list of treatments they doll out. Fee-for-service models lower quality of care and are a disservice to patients and employers alike. Michael J. Dowling, president and CEO of Northwell Health, argues that the rising costs are intrinsically tied to lower quality of care. "Value-based care ties reimbursement to quality, not quantity of care. The goal is to incentivize better care and lower costs," he writes in "Health Care Reboot". Dowling imagines a world where the quality of care is the standard rather than the volume of care. A lot is at stake here. Business as usual is going to be unsustainable for both hospitals, employers and individuals. For institutions like Northwell Health, clinical outcomes are paramount; health care improvement and high-quality care need to become the norm. Around 62% considered the quality and effectiveness of their care to be the most important factor of high-quality health care. 26% were most concerned with their out-of-pocket costs. Major companies are already taking note and are springing into action with new plans. For quite some time, companies tried to cut down on costs using measures like increasing employee expenses and limiting their coverage and access to certain specialists. But now they're realizing that this is not the way to go, and are instead taking a more active role in developing their value-based health plans. Multinational insurance broker Willis Tower Watson has found that an increasing number of companies are opting to negotiate directly with health care providers to apply value-based payment systems. According to its survey, in 2017 only 6% of employers were pursuing the aforementioned plans. Twenty-two percent of employers surveyed said they intended to start working directly with providers to change the payment system in 2019. More promising numbers from the same survey point towards a majority 65% of companies also making this a priority over the next three years. This rising trend has put forth a lot of new exciting initiatives. On the ground floor, better care is already being seen. One such example is from something called a patient-centered medical home, where a team of medical professionals build a personal relationship with their patient to anticipate their needs and make sure they're cared for in the best manner. This would include screenings based on the patient's age, gender and medical condition. This approach would be most likely used for patients with high-cost chronic conditions. David Lansky, CEO of the Pacific Business Group on Health, initiated something like this in his company's Intensive Outpatient Care Program. "...identified 15,000 people with multiple chronic conditions and severe challenges in getting good care, and helped pay for primary care teams that would deliver coordinated care, address social needs, and address mental health needs, all under a prospective payment to the care team." More and more companies are embracing this new value-based approach. The results are reduced hospitalizations and costs. Walmart's Center of Excellence program has also been leading the charge to cut costs and improve care with an integration of the best care it can provide for its employees. While this is just the beginning in this new trend, we're already seeing that value-based payment models are incentivizing better care for all.